Consumers look at fellow consumers to inform their purchasing decisions. Instead of looking at companies, as they did in the past, they now look at each other and at their favorite personalities. 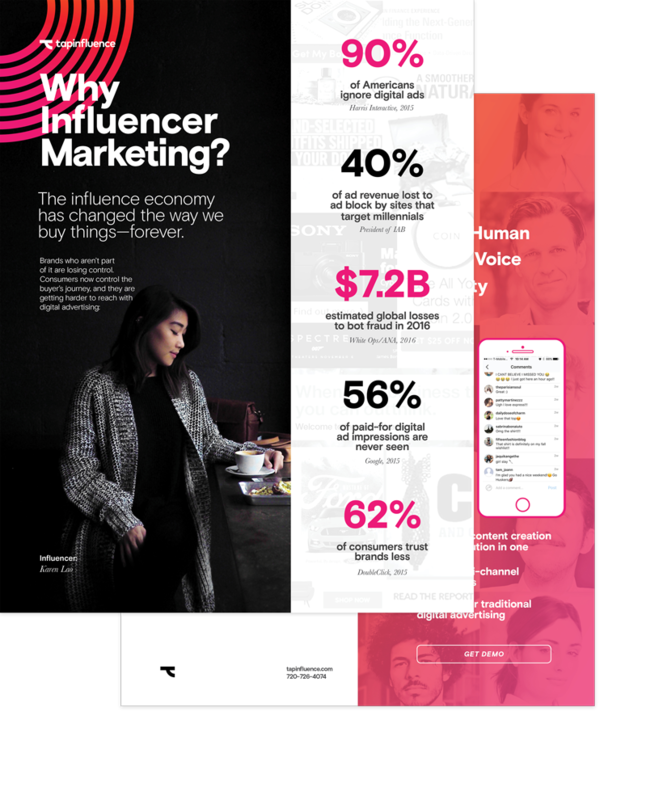 Grab your free copy to learn how to connect with consumers more directly, more organically, and at scale. The influence economy has changed the way we buy things—forever. Brands who aren’t part of it are losing control. Consumers now control the buyer’s journey, and they are getting harder to reach with digital advertising. Infosheet How Do I Get Started with Influencer Marketing?